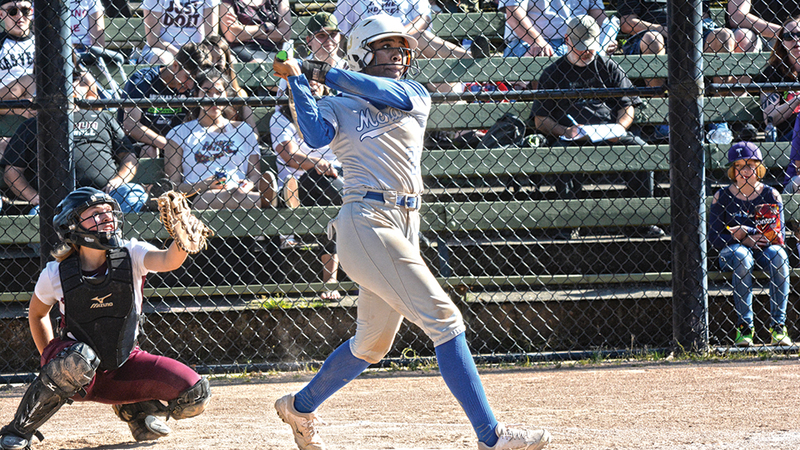 McNary senior Nadia Witt was voted Greater Valley Conference Softball Player of the Year for the second consecutive season. Witt, who has signed with the University of California, Riverside, posted a .602 batting average in her final season with the Lady Celts. She recorded 23 extra base hits, including 11 doubles, six triples and six home runs. Witt had 29 RBIs, scored 46 runs and stole 17 bases. McNary freshman infielder Taylor Ebbs joined Witt on the First Team. Ebbs led the Lady Celts with 36 RBIs and scored 29 runs while recording a .539 average. McNary senior Haley Ebner and sophomore Haley Bingenheimer were voted to the Second Team. Ebner hit .371 with 19 RBIs and 26 runs. Bingenheimer hit .414 with 19 RBIs and 15 runs. McNary junior Faith Downer was selected as a Second Team pitcher. Danner went 16-9 for the Lady Celts, with a 3.09 ERA over 140 innings. Emma Kinler (outfield), Alexa Cepeda (outfield), Kate Ronning (infield) and Abbi Covalt (infield) were all honorable mention selections. McNary juniors Jacob Jackson and Ty Covalt were voted to the All-Greater Valley Conference First Team. Playing shortstop, Jackson hit .395 with 14 doubles, two home runs, 14 RBIs and 26 runs. At catcher, Covalt hit .341 with eight doubles, 20 RBIs and 14 runs. Seniors Collin Wentworth, Lance Becktel and Carl Rumbaugh were selected to the Second Team. At second base, Wentworth led the Celtics with 22 RBIs, scored 14 runs and posted a .319 average. Becktel, an outfielder, hit .294 and scored 19 runs. On the mound, Rumbaugh was 4-5 with a 2.00 ERA over 49 innings. David Allen (pitcher) was honorable mention.